A portfolio is both a framework and a container. It provides a focus for the thinking and writing and, then, the fabric that holds the various focused “texts” together. One of the ideas that impressed me most from the WID readings and discussions was the importance of audience – to get the students engaged in what they are writing by having them address actual people and situations that mattered to them, not just writing for the teacher to get a grade. I was already using a variety of genres, and hypothesized that the addition of audience would increase engagement for the students. I decided to play with different audiences and different genres, in the hope that each student would be reached at least once. The context is my “Intro to World Religions” course, which has a theme of religious pluralism: How different religions can co-exist, peacefully for the most part, in today’s Montreal/Quebec/Canadian multicultural and multi-faith society. The portfolio I designed is made up of six parts: each one addressing a different question, reading, genre, and audience. The sixth one is a comprehensive assessment in which the student rereads his/her previous texts and reflects on the way these contribute to an overall picture for her/him. For technical reasons, I decided to use Lea as the platform for the course portfolios. After experimenting with other platforms, such as blogs, I found Lea was simpler for the students, and provided me with a course management tool as well. Each part was therefore submitted to Lea as a separate assignment, all the previous ones available for viewing as the semester progressed. As mentioned above, the sixth (last) part required the student to reread and comment on the previous parts. This assignment creates the foundation for the portfolio by thinking about what it means to study religions and how the reseacher’s position can affect the study. This assignment includes two different genres/audiences: the first is an “academic” text, intended for the teacher. However, the students must write this section in their own words, beginning the process of finding their own voices.The second is a personal letter to the textbook’s author: a semi-formal text situated between the overly familiar to-a-friend and the overly-distant to-whom-it-may-concern. 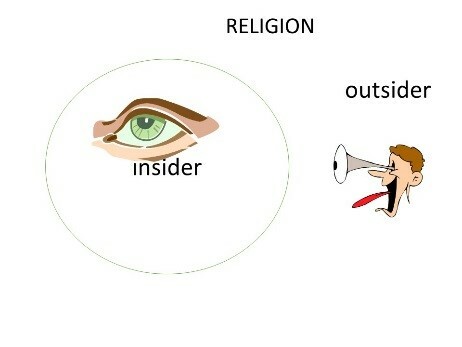 Explain the terms insider and outsider (explained by Kessler 1-3) as they apply to the academic study of religion, i.e. to people STUDYING the religion, not to those who practice the religion. In your own words, explain the difference between studying a religion as an insider and studying it as an outsider. How many different “belongings” do you have? Count 1 for each religion with which you have any kind of connection. Count 1 for each ethnicity (country) with which you have any kind of connection. Count 1 for each gender/sexual group or orientation with which you feel any kind of connection. Count 1 for any other attribute that you would use to describe yourself to someone. Do you think this number makes it easier or harder for you to study different religious groups than if the number were higher or lower? Why? Do you think it is important for everyone to study religions as outsiders? Why or why not? Kessler lists five qualities he thinks are important (“Qualities worth having”, pages 4-9). for people studying religions. Write a short letter to him telling him which of these YOU consider the most important and why. Make an explicit reference to what he said about this quality, and either agree or disagree with him. Your letter must be at least 150 words and use complete sentences with proper punctuation. You want him to read the letter, not throw it out as junk mail. This assignment asks the student to imagine a scenario that could actually occur in Montreal where different beliefs might lead to an unresolvable situation. The students are asked to place themselves on both sides of the impasse, and imagine what they would do. The genre in this case is a plan of action; the audience the practitioners of both belief systems. In addition, the students refer back to their first response, to consider the effect of their own situatedness. Read page 172 in Ch3: “Buddhism” (about the Dalai Lama), and “Reincarnation” by the Dalai Lama. You are a Tibetan Buddhist living in Montreal. 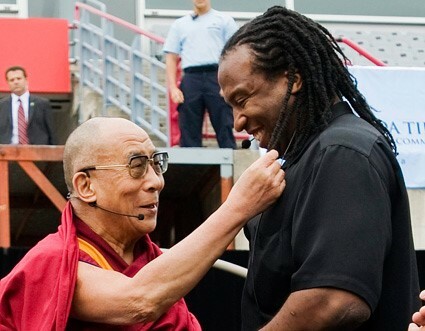 The Dalai Lama (the leader of your religion) was visiting Montreal and died here, 10 years ago. You, and all other Tibetan Buddhists, have been searching for his reincarnation all over the world for these 10 years. Now you think you have discovered his reincarnation: it is a 9 year old child born into a non-Buddhist family in Montreal. You want to talk to the child and, if it seems likely that this IS the Dalai Lama, start teaching the child about Buddhism and introducing him or her to all the other lamas. The education can either be done in Dharamsala (India) or Montreal; although that has never been done before, it might be a good way to adapt to the new global realities. You need to come up with a REALISTIC plan, a plan that has a possibility of succeeding in the real world in which we live. You are writing this plan for your Buddhist community. What do you think is the best way to make the first approach to the child’s parents? by phone, mail, email, in person, etc? through teachers, community leaders, leaders of non-Buddhist religions, or directly? if it is through someone else, how will you approach that other person? if it is a community leader, what kind of community leader? if directly, how will you get the parents to open the door to you? if this first approach doesn’t work, what is your Plan B? What will you say to the parents in your first contact? Will you talk about the Dalai Lama’s reincarnation in the first contact? Choose some of the Dalai Lama’s own words that you think might help convince them: (quote these words here). Explain how you would use these words. If the parents are reluctant, how will you try to convince them? Now imagine the scenario from the other point of view: YOU are the parents. How do you think you would react if you were approached by a Tibetan Lama saying that your child was the reincarnation of the Dalai Lama? What was the number of your belongings (from Response 1)? If your number was 5 or less: do you think if your number was higher, you would be more or less receptive to this possibility? If your number was greater than 5: do you think you would be more receptive to the possibility than people with lower numbers? This assignment asks the student to become a journalist and write for a general audience. You are a journalist writing for a daily Montreal paper with a wide circulation among people of all religions, ethnicities, and nationalities. As Halloween approaches, you decide this is a good time to write an article about Wicca, and to reclaim the good reputation of witches. Write an article explaining what Wicca really is and how it is a legitimate religion. In the article, explain what witches really do. In the article, explain about the Wiccan holiday that coincides with Halloween. Find an article on the Internet that talks about witches in a negative way. Give the reference to this article and explain how this kind of article can cause prejudices against the legitimate religion of Wicca. Remember that this is a newspaper article that will be read by many different kinds of people, including Wiccans. 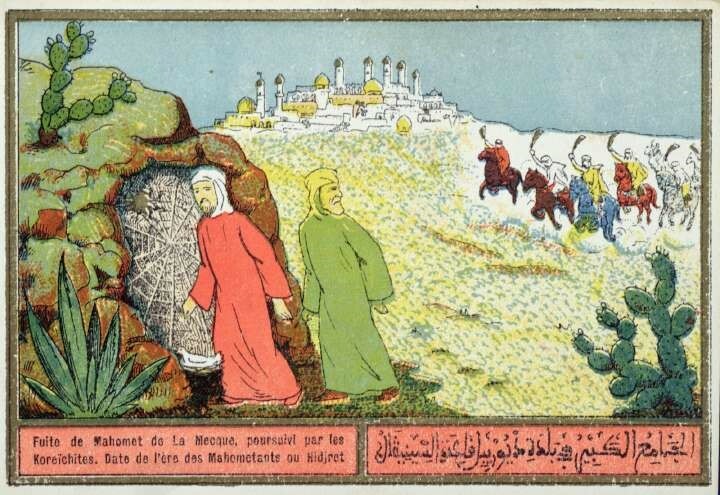 This assignment asks the students to place themselves into a historical situation and tell the story of a religion’s beginning from two different (and opposing) personal viewpoints. The genre is personal narrative/memoir; the audience is their children and grandchildren. Muhammad’s life is described on pages 223-226 of Chapter 5. A person who lived in Mecca who became one of his followers. A person who lived in Mecca but who didn’t like what he was saying and teaching. Write the story as if you are telling it to your children and grandchildren a few years after these events took place. Each of these must be at least 300 words and must refer explicitly to the textbook. This assignment asks the students to produce a creative solution for religious prejudice. The genre is film/TV show proposal; the audience is the producers. There is also an optional genre: to produce an advertising poster (rather than more words). 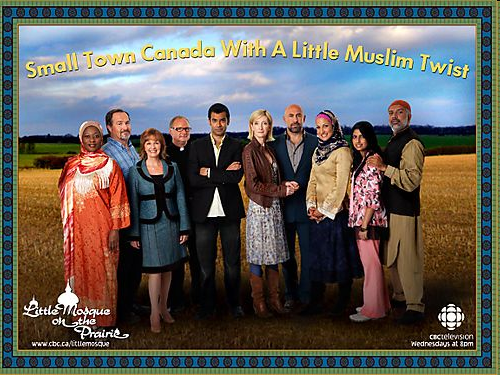 Create a proposal for a movie or TV show to address religious prejudice. The prejudice may be specific to one religion (e.g. Islamophobia), or it may be more general. You proposal must explain what the prejudice is and how your movie or show will make a difference. Remember that you are trying to SELL this idea to producers – make your proposal sound as good as possible so they will go for it! What is the reason for your movie or show (i.e. what is the problem it is addressing)? How will your movie or show help this problem? What is the basic idea or storyline? 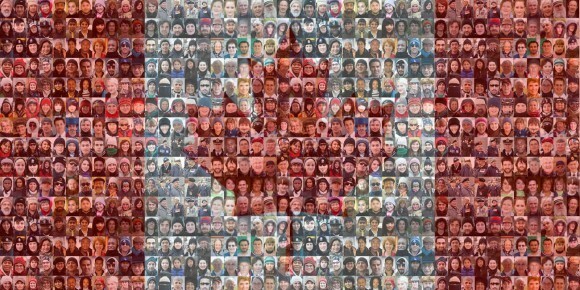 This assignment asks the students to transpose an author’s American examples of pluralism to a Canadian context. They also need to read back over their own previous responses and reflect on how these all relate to the theme of the course, i.e. to religious pluralism. In doing this, they can hopefully see their progression from isolated thoughts to an overall picture. The audience in this case is the teacher, but also themselves. Read the chapter on “Religious Diversity”, in which the author argues that what we need to really get along with each other is pluralism, not just diversity. Read all 5 of your previous responses with the idea of religious diversity in mind. 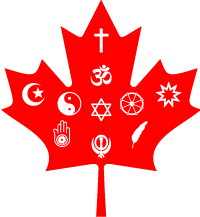 Write a commentary on the article, stating how Canada either does or does not exhibit pluralism (her examples are all in the United States). Give at least 2 examples from Canada to support your point. Refer to the article explicitly. Also refer specifically to all 5 of your previous responses: response 1 describes how you approach the topic; responses 2 and 3 are examples of how pluralism either is or is not found here; response 4 is an example of how an earlier community either did or did not show pluralism; response 5 is a strategy to increase pluralism.